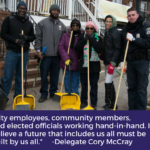 As we enter the second month of the 2018 Legislative Session in Annapolis, one key piece of legislation is in effect and will begin to show immediate benefit to Maryland workers. Paid Sick Leave is now a reality for Marylanders who previously would have had to take unpaid time off for illness. Paid Sick Leave, however, is not the only major piece of legislation that has been introduced or acted upon in the current session. In areas from education to public safety, lawmakers – myself included – have sponsored bills that will position our state and its working families for long-term success. Accordingly, we will be increasing our communications to occur every 2 to 3 weeks until session ends so that you are kept abreast of the developments in Annapolis. 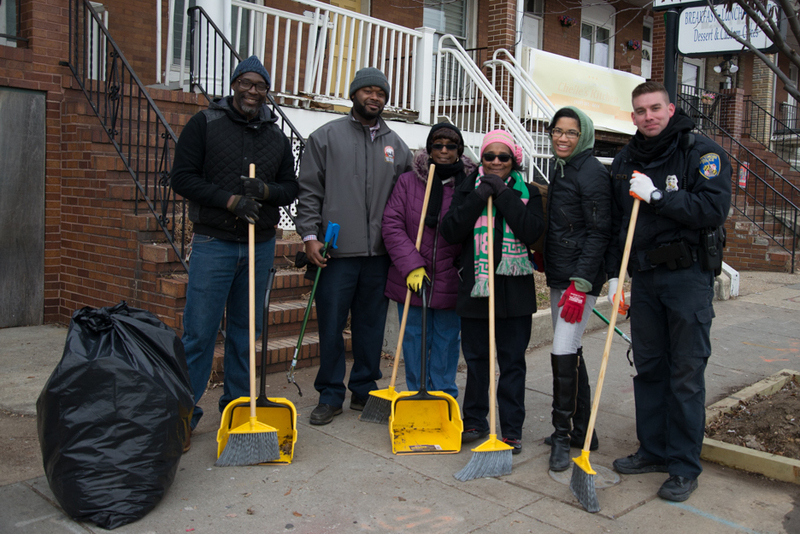 Walking and talking with neighbors throughout the past year has made clear the widespread concern that exists over the state of public safety and policing in Baltimore. 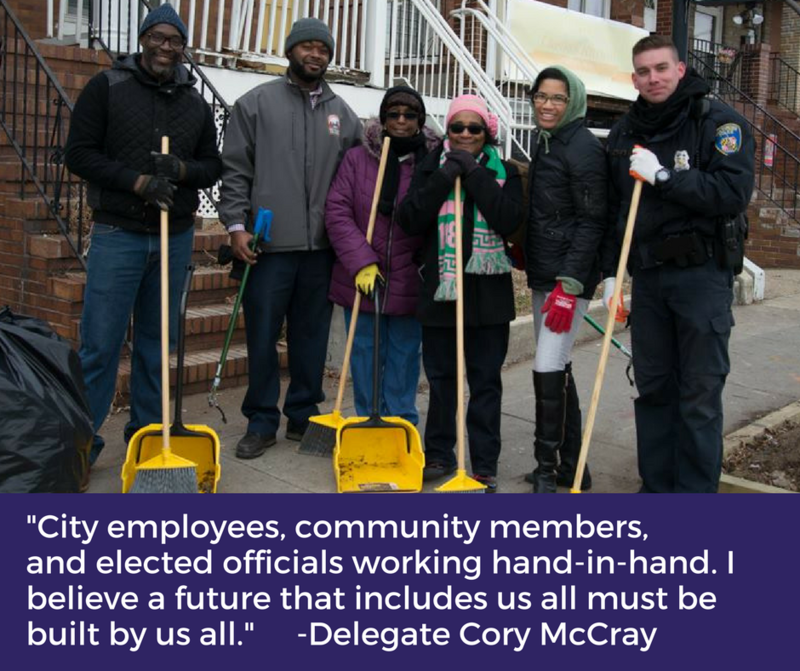 In response to these concerns, I have sponsored three pieces of legislation that will bring greater levels of efficiency, transparency, and accountability to the Baltimore Police Department and its budgeting practices. HB 440 will require redistricting for police districts to occur every 10 years following the U.S. Census. Doing so will allow the police department to focus its resources in the areas where they are needed most. HB 561 will require periodic financial audits (at least one every 6 years) of the Baltimore Police Department. 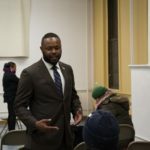 This will make the auditing practices of the police department consistent with what is already done for the school system and the city’s liquor board. Finally, HB 1259 will require that $1 million is dedicated to community policing programs for every $5 million or more that is allocated to the city by the Governor’s Office for Crime Control and Prevention. We’ll be kicking off our “Conversations with Cory” events on Saturday, February 24 at Rita Church Community Center at 10:00AM. These events provide an opportunity to connect with constituents about the legislative session and any other concerns that may arise. Our guest speaker on the 24th will be Jason Perkins Cohen from the Mayor’s Office of Employment Development. Jason will be discussing the YouthWorks program and his department’s efforts to employ Baltimore. Our office is continuing to receive applications from new and continuing college students seeking a District 45 Scholarship. The application must be submitted no later than April 13 and can be found here. I want to thank Councilman Brandon Scott for his recent video endorsement of the campaign. The June primary is quickly approaching and fortunately the momentum behind the campaign hasn’t slowed down a bit.